Cristina is fully Colombian, and moved to Tokyo from Princeton, New Jersey this past summer. 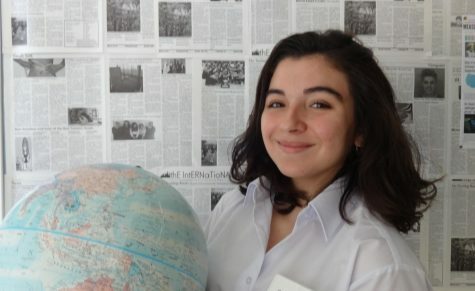 As this is her first year at ISSH, this is the first time she’s been involved with The International - but it’s her second year in Journalism. Other than writing, she enjoys cooking, reading, drawing, and feeding her obsession with the TED Radio Hour.